In student affairs and higher education, it can be challenging to prioritize our basic needs. We focus on taking care of others first – our students, colleagues, family members, and friends. Fortunately, there are tools and resources at our fingertips to bridge this gap. There is an abundance of smartphone apps that can support our sleep cycles, water intake, breathing for mindfulness, and so much more. While I’m the type of person that steps away from technology for a little digital detox every now and then, I’m also grateful to have access to technology that supports my self-care habits. It can be overwhelming to decide which app is best for you (there are so many out there!) It helps to explore what works best for you and integrates easily into your daily routine. Here are five smartphone apps that can help to unwind after a long day, in the moment, or just help take care of our body and spirit throughout the week. The first one is premium, meaning it has a small cost associated with it, however, the rest are free. Breathing zone helps defuse stress when it happens to come on quickly. This is great for student affairs professionals who work in high stress environments, or people who want to include breath exercises into their day to calm the mind and body. We often forget to breathe at work or when we are in situations where our internal fears may arise. When you’re headed to a stressful meeting or a meeting where fear may come up for you, try focusing on your breath. It helps reduce anxiety in the moment by focusing on a set number of breaths within 60 seconds. The colors featured on the app can also be calming and relaxing to the mind as a helpful visual. How do we work on becoming happier? We can work on being aware of our emotions and understand how to let them go. Happify utilizes quick activities that help us become aware of our feelings and do something to improve them. 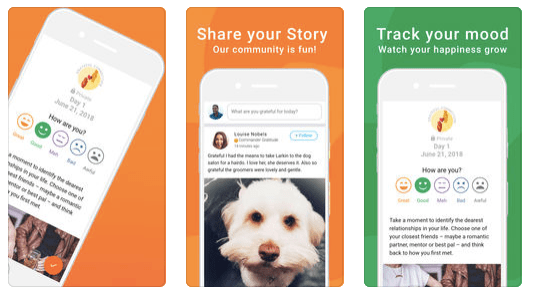 This app allows you to set mental health goals and focus on how to strengthen well-being around confidence, self-worth, and stress management. This app is specifically founded upon scientific research to help cultivate resilience in your life. Moodpath is a great supplement to your overall mental health regimen. I totally encourage seeing a professional for a depression, anxiety or mental health screenings, as well as to support ongoing your mental health. I found this helpful app that also offers another perspective on measuring mental health. Think of it as another tool to add to your mental health toolkit. 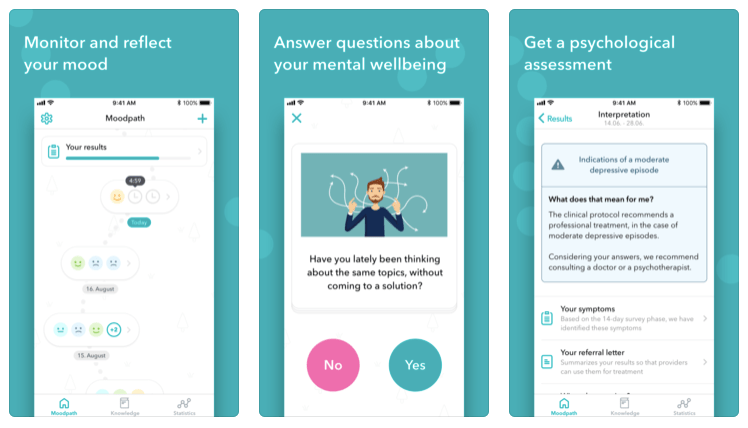 This app asks you three questions throughout the day for 14 days to help you understand your mental health symptoms. After the period of two weeks is up, you can actually send a report to a therapist or healthcare professional to help you discuss your mood and understand a holistic picture of your mental health. I have not yet used this app myself, but it seems it could be helpful to be that extra nudge to see a therapist for the first time, add comprehensive details to our ongoing therapy practice, or even empower us to have another resource for determining where we are on a given day and throughout time. Am I the only one who forgets to drink water throughout the day? I am such a big coffee fan, that my instinct is to refill my coffee cup multiple times rather than grab some hydrating H2O. So many of us suffer from chronic dehydration that causes us to feel sluggish and increase adrenal fatigue (stress that physically depresses our adrenal system which includes kidneys, liver, and pancreas). Our cells perform better and support us when they are hydrated. To combat dehydration, try to drink 8 fluid ounces of water upon waking in the morning to help support your body’s overall health for the day. I pour myself a glass of water before bedtime and set it on my bedside table. This way, it’s the first thing I see in the morning. I need reminders in my daily environment for even simple resilience habits. 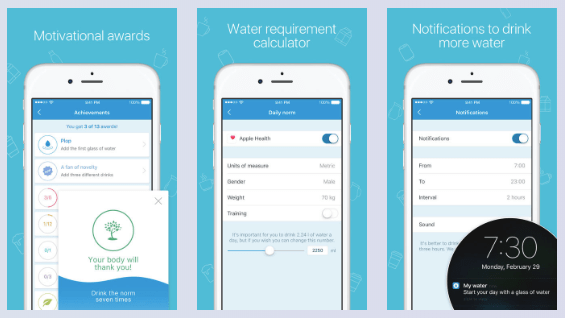 This app gives you notifications to drink more water, record how much you drink per day, and motivates you to stay hydrated. When we express gratitude it actively helps us reduce thinking about fear and anxiety in our lives. Practicing gratitude has been shown by researchers to increase our overall health as well. The app provides daily prompts and daily inspirational questions that help you delve deeper and explore new areas of appreciation in your life. It syncs to Google drive if you want easier access to your thoughts through a log, and you can look back at your thoughts through a timeline feature. If you need more backed evidence about gratitude, check out this article by Forbes called 7 Scientifically Proven Benefits of Gratitude. I am a huge proponent of writing down what I’m grateful for or reflecting on my appreciation for many ideas, things, and moments in my life. Whether you download the app or not, practicing gratitude really helps us develop resilience in our lives. Looking for a campus resilience speaker this fall? Check out my resilience workshops and programs that I can help tailor to your institution or organization. I’d love to help build resilience with your professional staff or students! Want to dive deeper into resources for your daily resilience. Check out my “Resilience, Self-Care, & Thriving” resources page.